Country star Rodney Atkins has filed for divorce. 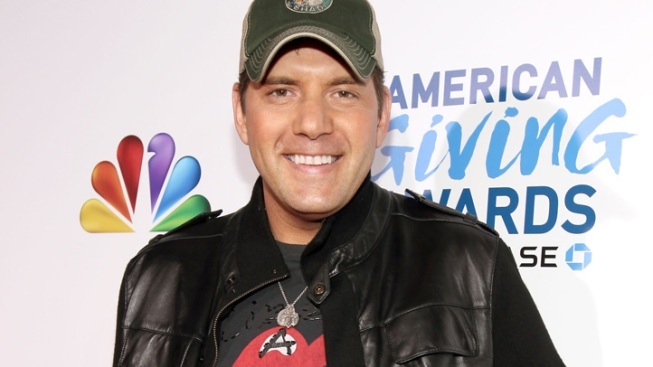 Rodney Atkins has filed for divorce and his attorney denied Thursday the country singer assaulted his wife last month. Atkins was arrested Nov. 21 and charged with domestic assault. His wife, Tammy Jo Atkins, told police that after a night of heavy drinking he assaulted her and tried to suffocate her with a pillow. Attorney Rose Palermo said in a statement the allegations of violence are "completely untrue" and that the argument between the couple did not become physical. Palermo writes of "an unfortunate verbal dispute" that was within hearing range of the couple's young son. When Atkins realized this, "his first priority became getting out of the earshot of the child, and that is when Mrs. Atkins called the police and gave them her version of the argument, which is completely untrue." The platinum-selling singer, known for No.1 hits including "If You're Going Through Hell (Before the Devil Even Knows)," ''Take a Back Road" and "Watching You," decided to file for divorce as a result of the false statement to police, the statement says. Both allege inappropriate marital conduct in divorce filings in Williamson County. Tammy Jo Atkins is seeking full custody, an equal distribution of their assets, alimony and child support. Rodney Atkins is seeking joint custody. In one filing, his attorney says Tammy Jo Atkins' "ill conduct" was a justifiable cause for his own conduct in the early morning hours of Nov. 21. Tammy Jo Atkins told police the couple had been arguing all night and that her husband was intoxicated. She claimed he tried to smother her with a pillow during the night and then in the morning grabbed her by the face and shoved her down a hallway. She said she feared for her safety and that the assault occurred in front of their 10-year-old son, Elijah. A hearing in the divorce case is scheduled for Dec. 20. Palermo's statement says the police witnessed no violent acts and that this is a case of her word against his. "Mr. Atkins plans to spend significant time with his child over the Christmas holidays and respectfully requests privacy at this time," the statement reads. "Mr. Atkins wants to thank his fans for standing by him and he is confident the truth will prevail." Robert Jackson, the attorney for Tammy Jo Atkins, did not immediately respond to a message left by The Associated Press.